In our classes at The Nest, we see parents using and hear parents raving about the latest and greatest in baby gear every day. So... this year we've rounded up a collection of our very favorite things of 2016 for babies and toddlers. Some are brand new products, some are tried and true products that have been loved for years, but they'd all make great presents this holiday season! Some links below may be affiliate links. Merlin's Magic Sleepsuit: Both of my boys NEEDED to be swaddled to get any sleep. When we hit the point that swaddles couldn't contain their strong arms any longer, our sleep suffered big time. Until we bought the Magic Merlin Sleepsuit. I love this product and it is one of my Favorite Things this year because it is safe (created by a mom and physical therapist), it can help your baby sleep for longer stretches, and it makes for the most adorable and hilarious sleeping baby photos. ;) Available in sizes 3-6 months, 6-9 months. Banana Toothbrush and Teether: The Baby Banana Brush is a safe teether - made of silicone and bendable so that baby can chew on it and can't hurt themselves. Both of my boys used theirs almost every day - as a toy, teether, and as a starter toothbrush! Zarbee's Cough Syrup: Cold and flu season is officially here, but it can hopefully be made a little less miserable with two sick baby must-haves that made our list for the Nest's Favorite Things of 2016! We love Zarbee's baby cough syrup because it's made with agave and all natural ingredients. It is one of the very few things you can give young babies (older than 2 months) when they have a cough/cold. They also have an awesome all-natural syrup for kids older than 1 year that contains honey. Crane Humidifiers: Combine that with an adorable cool-mist Crane humidifier, and you're all set! We love Crane humidifiers because they help keep babies healthy: adding moisture to the air in their nursery so that they can sleep more soundly when sick. ThinkBaby Sunscreen: This sunscreen is one of our favorite things because it is safe for baby (scored a 1 on the Environmental Working Group's site), it works well, applies smoothly and evenly, and smells delicious too! Pura Stainless Bottles: Pura Stainless bottles made our list of Favorite Things for this year because: 1. They are safe - 100% plastic free - stainless steel bottles with silicone tops. 2. They grow with your child for years - Just replace the silicone top on the stainless bottle as your child's bottle needs change. 3. Our moms report that they're leakproof too! My Brest Friend: Anything that can make nursing a little easier and more comfortable is definitely a favorite thing of ours! My Brest Friend is our favorite nursing pillow because it is comfortable, helps save Mom's back, and helps to keep baby in the correct nursing position. As a new mom, nursing was a big challenge for me, and this pillow was the only thing that could help me latch my babies properly! We have a BrestFriend pillow in class for our moms to use, and also got to give one away this week! Covered Goods Multi Purpose Cover: This week we got to give away another one of our favorite things - a Covered Goods multi-use cover - to one of our moms. This is definitely a must-have product for new moms because it's super useful and cuts down on having to buy multiple baby products! You can use it as a nursing cover, infinity scarf, carseat cover, or shopping cart cover. Trumpette Socks: Have you seen these adorable monthly socks made by Trumpette? I think they'd make the most unique monthly pictures for baby's first year! This week we gave away 8 sets of Trumpette socks to Nest babies, including: these monthly socks for baby's first year, some darling Mary Jane socks, "Johnny" socks for boys that look like cute little sneakers, and more! We love Trumpette socks because they are obviously stylish, but did you know they're also good for baby's development? Allowing your baby to toddle around barefoot, or in socks like these, helps them balance and encourages proper muscle and bone development in their foot. Babiators: There is nothing cuter than a baby with sunglasses! These sunglasses are made specifically with very young children in mind. 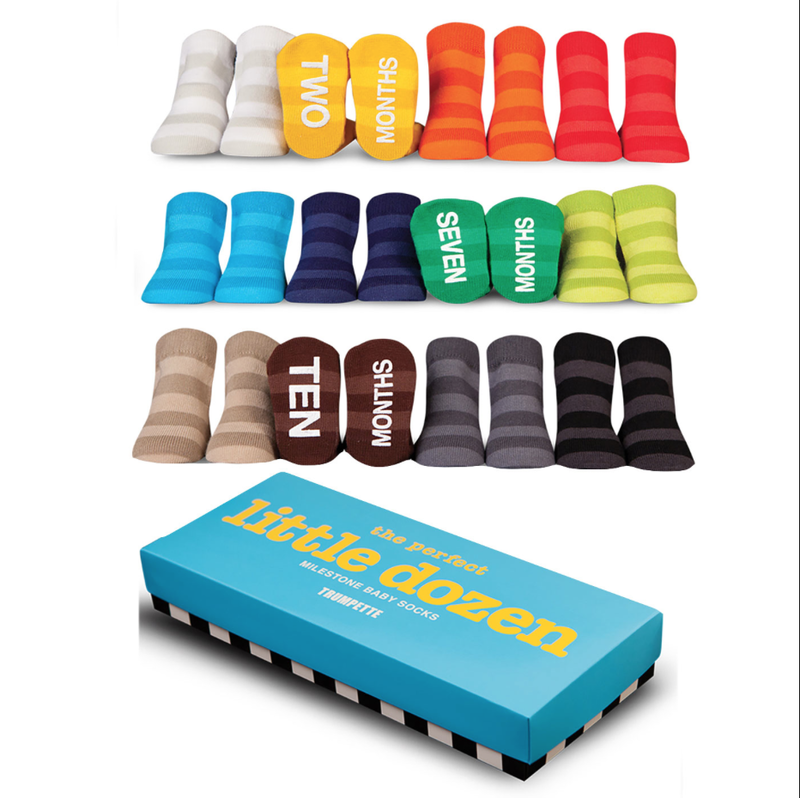 They are made of a soft rubber that makes them safe, comfortable, and nearly impossible for your little one to break. They also have a fantastic "Lost and Found Guarantee" where they'll replace lost or broken glasses within a year of purchase for free! Micro Scooters: These Micro scooters made our list of favorite things this year because they provide hours and hours of fun for little ones and are easy to throw in the back of your car and take to the park or beach. Many of their scooter types also grow with your little one - with some styles made to start with kids as early as a year old! 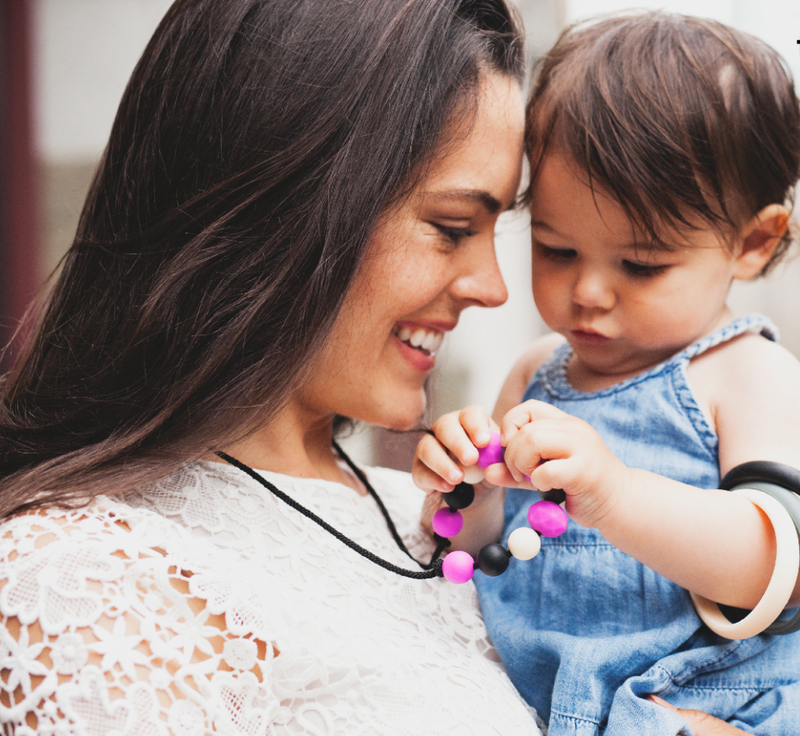 We especially love the Mini-2-Go (pictured below) and the 3-in-1 for toddlers because they grow with your little one. 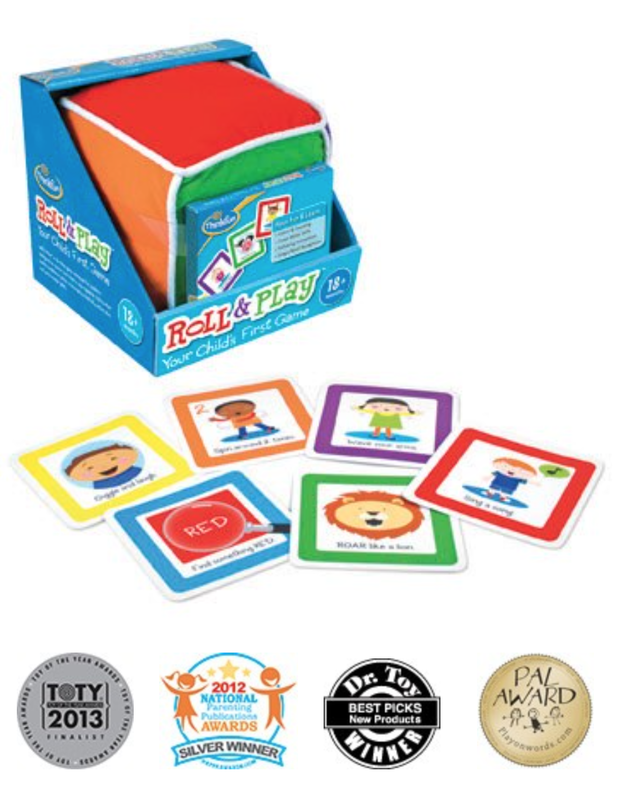 Thinkfun Roll N Play Board Game: This award-winning game is one of our Favorite Things because it encourages families to spend time together, engages toddlers' creative minds, and allows them to be active and practice some gross motor skills too! 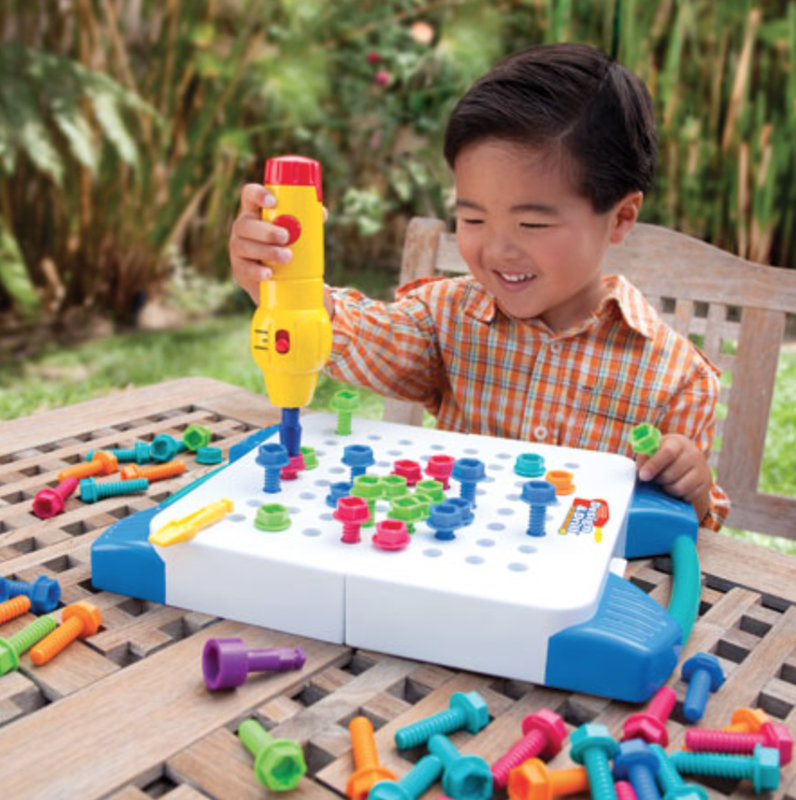 Design and Drill Take-Along Tool Kit: This toy is recommended for kids age 3 and up. However, under constant close supervision by an adult (the parts are chokable! ), I love this toy for even younger children. My kids will play with this for hours. I love that it is engaging enough to hold my kids' attention while also allowing them to practice their fine motor skills! Tot Tubes: The former science teacher in me loves this toy. I believe that often the simplest toys are the most educational. This toy is the perfect example of that. A tube that kids can race cars, balls, and more down, this unique toy is open-ended and engaging for kids of all ages. It allows them to practice and see concepts of force and motion in action! Riverstones: This "toy" is sort-of the modern version of a balance beam. Babies and toddlers can crawl on the stones, stand on them, walk from one stone to the next, and more! I love how great they are for developing toddlers' fine motor skills, and also love that all 6 stones fit inside one another and can be stored in one small box! That's it! Our Favorite Things that our parents were raving about in 2016. What would you add to our list?